Are you installing a Scott’s SuperSlam IFS kit and want your vehicle to lay all the way out? You will need Scott’s Step Notches in the rear for proper axle clearance. 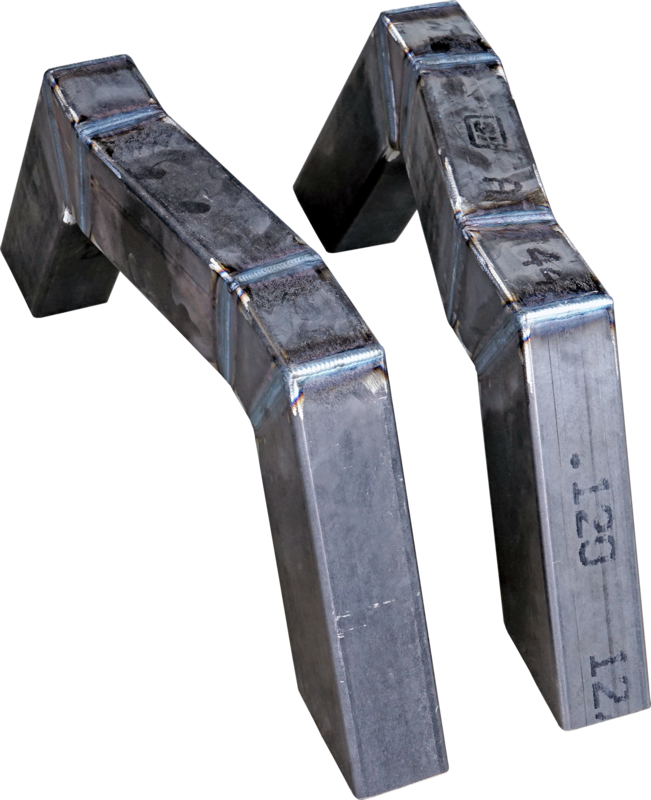 These Step Notches are cut to fit per application and are weld-in only. Built from 2”x4”x3/16”-wall tubing. Note: Body modifications will need to be made to clear. Pair of step notches, ready to paint. Welding & fabrication required. A qualified professional mechanic or fabricator with the technical understanding of product function and installation procedures must install all Scott’s Hotrods products.